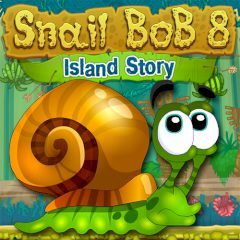 Pass each level and help the snail to get home! Cause now he is in an island that is full of obstacles and different foes. Watch out! They are everywhere. Use all tips and fine the best way to the escape. We know that you will cope with it! Good luck to you. Are you ready for the fantastic challenges that are full of unexpected surprises and obstacles? Then this is the best time to start it! You have to help this cute snail to get home! Cause now he is in the island. It is so easy to control! Just use the mouse. Press the space to stop or run again. 1 to turn around, 2 to speed up or down. Complete all levels and avoid any impediments that will be on the way to the win! So, if you have some free time this is the best way to spend it with this cute snail!